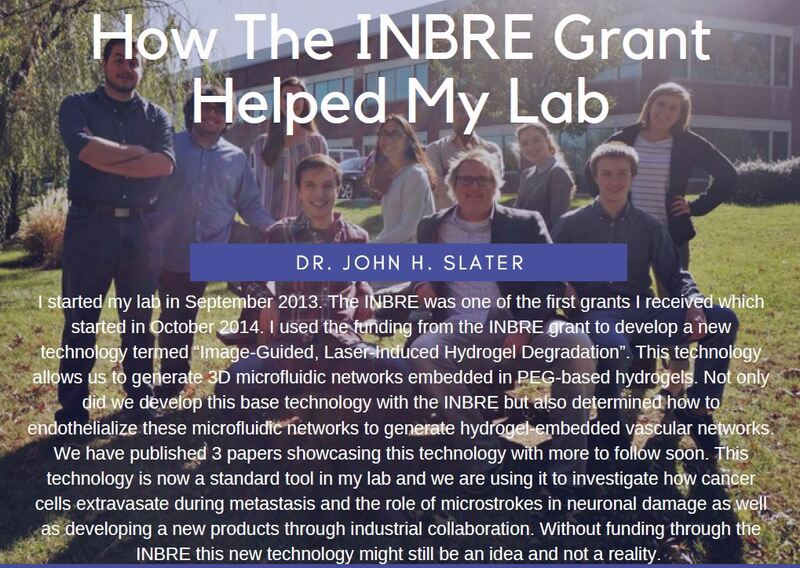 Delaware INBRE promotes clinical & translational research by facilitating instrumentation access via its Core Center Access Award. 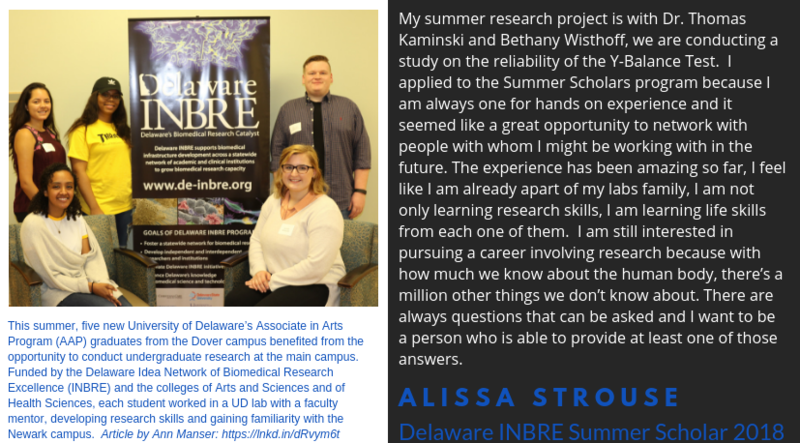 Investigators at one of the Delaware INBRE institutions may request usage of one or a combination of the INBRE cores services. Wesley students show off their academic and research excellence at this increasingly popular annual event. Delaware Technical Community College students learn about this cutting-edge technology, thanks to a partnership with Christiana Care. For the fourth time, a Delaware INBRE Summer Scholar alum is among the recipients of the NSF Graduate Fellowship. Biomedical research that improves outcomes, reduces disparities and advances patient care. 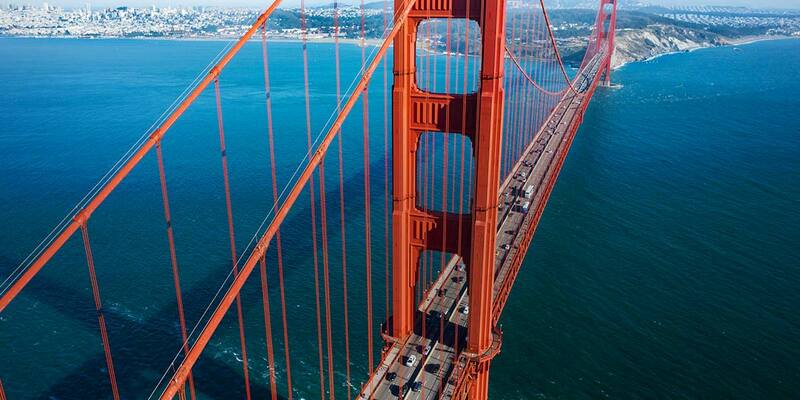 Internships, mentoring and career-building services that build the research pipeline. World-class facilities supporting cutting edge research. Collaborating with top-notch academic, clinical, government and industrial partners. 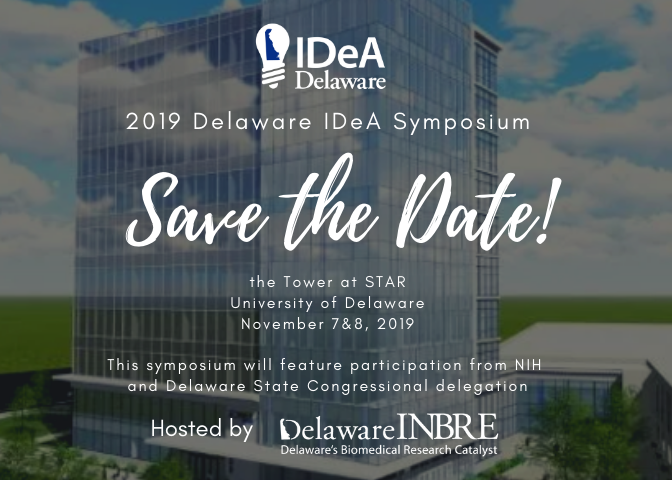 This exciting symposium will feature participation from the NIH and Delaware State Congressional delegation. We hope you can join us for this awesome networking opportunity!! Are you interested in gaining biomedical research experience in preparation for an MD-PhD program? Our PostBacc program offers laboratory research, patient-centered experiences, MCAT test prep and application guidance to recent college graduates who aim to pursue advanced training and careers as physician-scientists. JAX’s PostBacc will help you stand out. Application deadline is March 31, 2019. Program start date is July 2019.